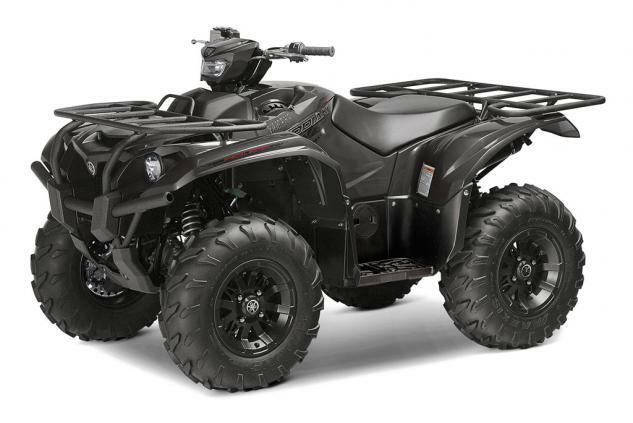 Yamaha Kodiak 700 Forum > Yamaha Kodiak 700 Ownership > What Did You Do To Your Kodiak 700 Today? > What Did You Do To Your Kodiak 700 Today? Share what you did today with the Kodiak 700 community! Example: Installed new tires and went out for a ride around the trails. Example: Took the kodiak out for a nice mud bath! Example: Finally got around to installing the LED light bar. The winch has been shipped now just playing the waiting game. I rode the Kodiak 700 to the mailbox, also rode it to feed and water a group of replacement heifers. Picked it up and brought it home yesterday rode around field a couple of times......today looked at it figuring where to mount GPS and if/when to change clutch weights to give it some pick up. Did you happen to find an ideal spot to mount a GPS or what? Last edited by depdawg; 01-29-2016 at 07:32 AM. That is true and if you have the headlight pod it would block the view, I have the base model with no pod so a little more open view of the front rack. Would be nice to see some pics of the GPS installed on said right side. I took mine through the snow mud,over shrubs between trees with almost no space,through ditches,frozing ponds, through the mud, blazed new trails and she never let me down not even one time! Always had the power to get out lol..
Sry no upgrades yet I'm thinking about the changing the clutch weights though! I took off a total of 7 warning stickers (not the riveted on warnings) and the big kodiak stickers. New wheels and tires and then went slashing on my lake. We have 18 inches of ice but 8 to 10 inches of snow on top with lots of slush. Otherwise just driving around casually trying to believe in.